Fibromyalgia patients often find it difficult to feel better. The symptoms of the condition are hard to track down and can affect different areas of the body. But the one symptom that seems universal is joint pain. Typically, a person with fibromyalgia has long-term, body-wide pain and tenderness in the joints, muscles, tendons, and other soft tissues. And this, in turn, can cause fatigue and depression. Here is some good news for those with this troubling condition, courtesy of a team of researchers at the University of Aberdeen in Scotland. Fibromyalgia sufferers may find relief by taking three natural compounds: anthocyanidins, capsaicin, and S-adenosylmethionine (SAMe). The Scottish research team discovered this treatment when they set out to critically evaluate the evidence regarding the various forms of complementary and alternative medicine (CAM) used in the treatment of fibromyalgia. After reviewing a number of clinical trials, the researchers found that anthocyanidins, capsaicin, and SAMe each showed statistically significant improvements in fibromyalgia patients compared with placebo. These improvements included a reduction in pain, better sleep, and less tenderness. The researchers also noted that these treatments were free of any major side effects. So what are these three natural compounds and how do they manage to help treat fibromyalgia symptoms? Anthocyanidins are potent antioxidants that are found in cranberries and many other brilliantly colored fruits and vegetables. 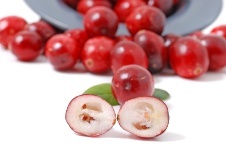 They play a role in preventing blood clots, helping to protect against heart disease. They have also been shown to suppress cancer cell growth. Capsaicin, which is the active component of chili peppers, is known for its pain-fighting capabilities. Capsaicin works by depleting or interfering with something called “substance P,” a chemical involved in transmitting pain impulses to the brain.